Always a man with a surprise up his sleeve (was anyone anticipating his first acting credit in years to be on New Girl? ), Prince‘s new song is probably not what you’d expect from the Purple One. 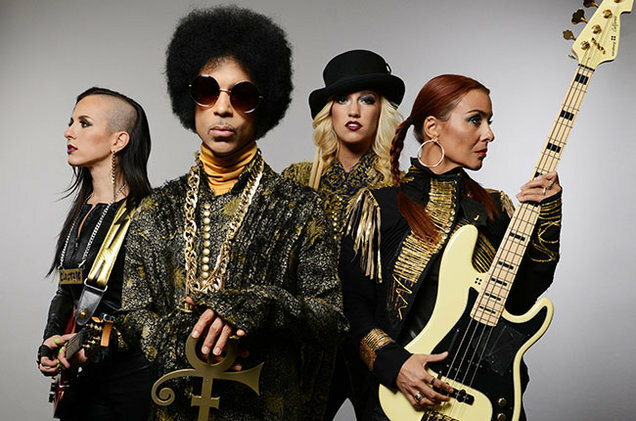 Prince and 3rdEyeGirl released an electric guitar-heavy cover of Christian singer-songwriter Nichole Nordeman’s “What If,” a song that embraces the closely-knit relationship between doubt and faith. Nordeman is a regular on the Christian music scene: Not only did she contribute a track to the Music Inspired by the Chronicles of Narinia album, but she wrote a song for VeggieTales called “Sweetpea Beauty.” In case you’re unfamiliar, VeggieTales is a children’s cartoon about anthropomorphic produce who sing and relay morality tales. To read entire Billboard story, click HERE.